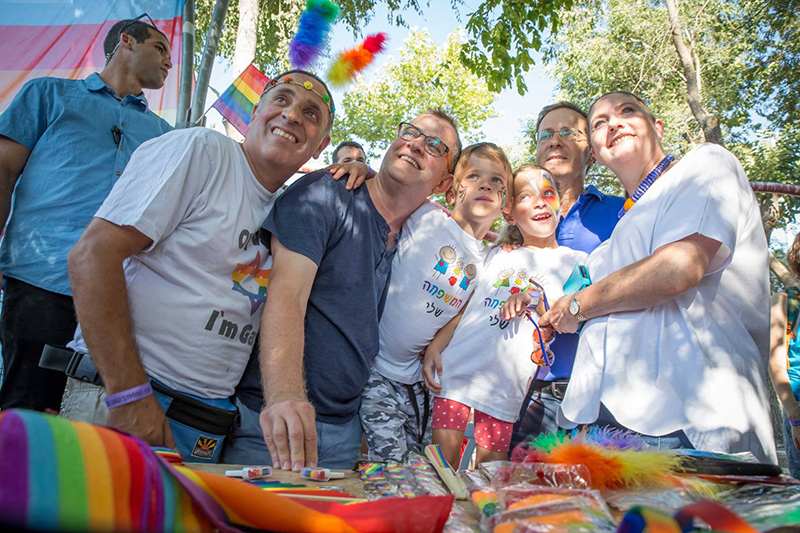 “Bears,” Families with young children (including babies with “I love” stickers stuck onto their onesies) and other “experienced native priders” at Jerusalem Pride Parade. Together with Adam Stovicek, 29, a fellow doctoral student from Ben-Gurion University, and his partner, Doron Rosenthal, also 29, a Shenkar College student of industrial design, they made a friendly pack. 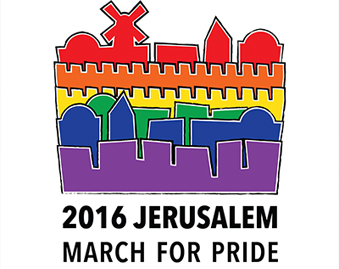 Every year at the pride march, there is a significant police presence. There was no difference at this year’s, held Thursday. 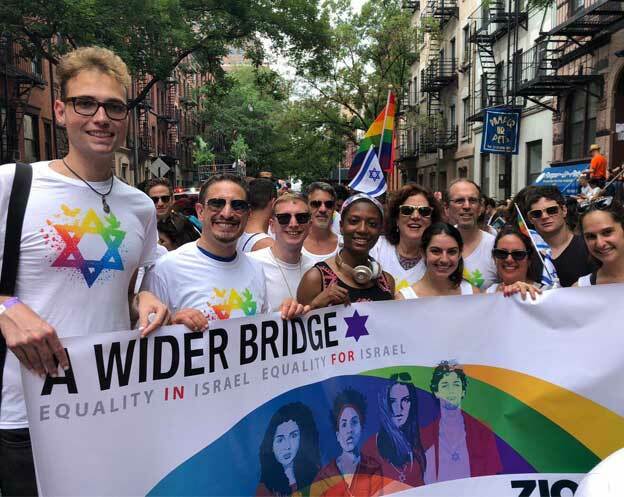 At least 22 protesters were arrested, among them one carrying a knife — a painful reminder of Shira Banki, a 16-year-old girl who was stabbed to death at the gay pride march in 2015. The assailant, who stabbed three people in all at the parade, was recently released on parole.